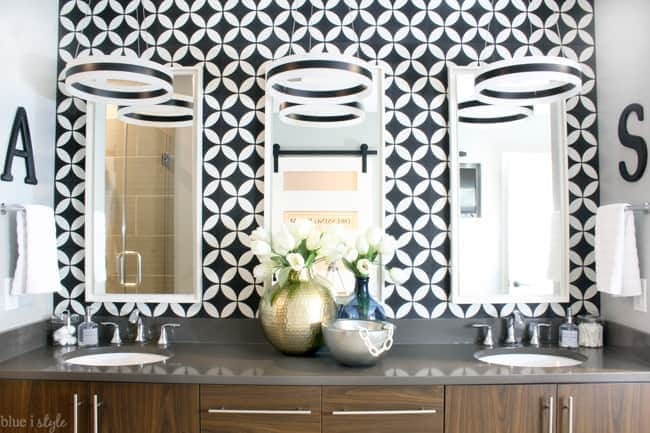 While putting the final touches on my Master Bathroom Makeover this week, I got to thinking about the powder room that we completed last year – it was chock full of “trendy” decor items, something which I don’t usually cave to. 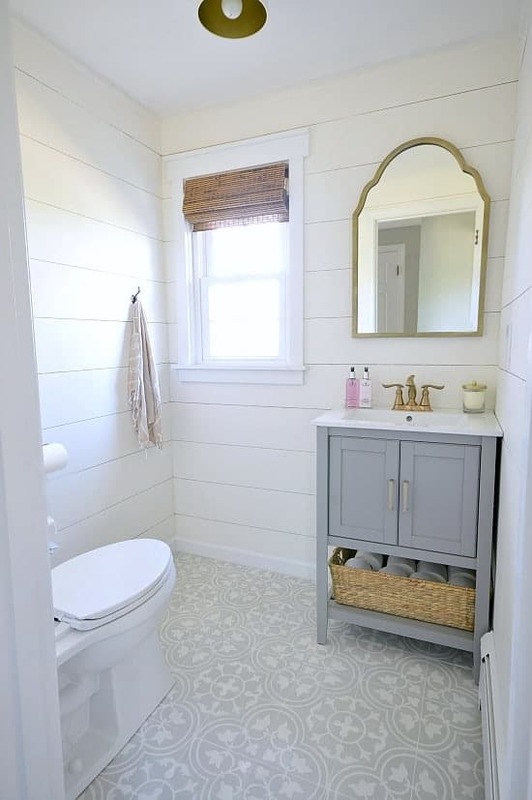 I was pretty nervous and very excited at the same time when we installed the cement tile and shiplap walls in that little bathroom. And while both are super trendy – they are in fact pretty classic in their appeal. So I’m hoping I’ll never tire of them. The antique brass hardware on the other hand …well, I still love it but that’s an easy fix if I decide I hate it 5 years from now. Anyway, with that thought in mind I thought I would share some beautiful home decor trends that I’m hoping will stick and become classics. I’m really hoping cement tile isn’t a fad that we will live to regret ten years from now because I adore it! While I prefer the less “in-your-face” colors for my home, I have to admire those of you that have made the bold choice of the black and white patterns in your homes…because it looks awesome! 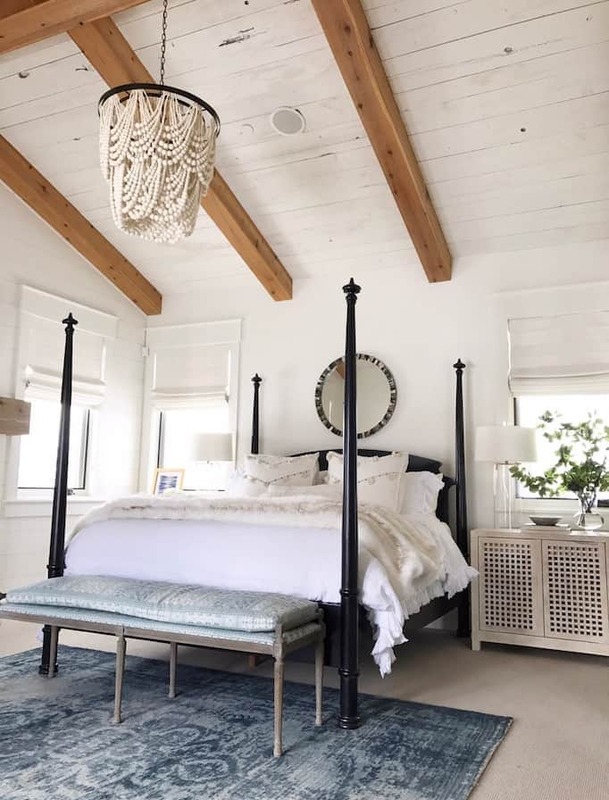 I know you – and every editor out there – is sick of shiplap. It’s the wood panelling of this decade, right? Well, I still love it and I think it adds real beauty and a timeless aesthetic to any space it’s used in. 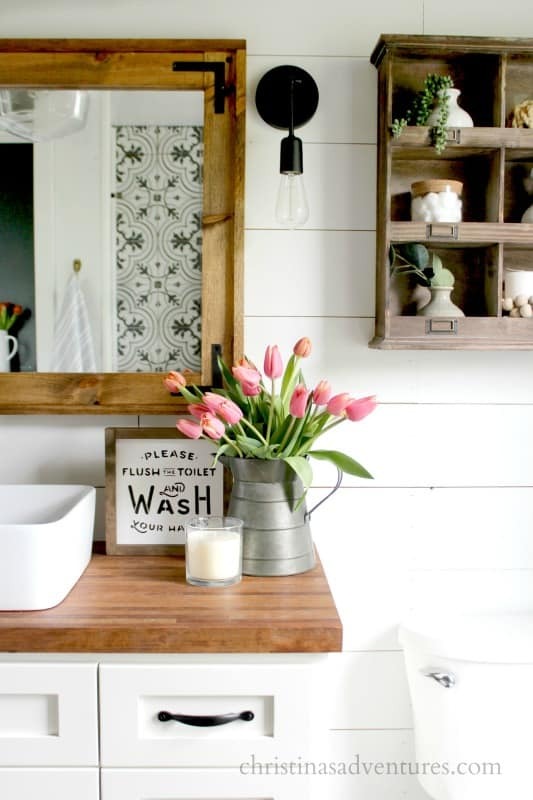 Barn doors not only look gorgeous but serve a purpose too. Many times, it’s not possible to have a door that will swing in or or due to clearance issues. If you have the wall space to accommodate the barn door hardware, you’ve got yourself a solution! Is this even a trend? Navy blue has been my favorite color since I was a kid. I love how it contrasts with crisp whites. It’s like a more sophisticated black and white. I’m pretty sure navy is here to stay! This is one trend that I have not bought into (as in I have not bought one of these rugs) only because rugs are expensive and I don’t have a need for a new one right now. While I do LOVE this look, I question its staying power. Pretty, easy to install AND affordable? While luxury vinyl plank floors may seem like a fad right now, I bet they are here to stay. In fact, we just installed them in our master bathroom makeover. They were an absolute breeze to install and went in right over the tile. Not many products are that versatile. In my books, luxury vinyl tile is a winner that needs to stay around for a long time. After seeing Lucy from Craftberry Bush’s kitchen makeover, I think I need to replace my ugly kitchen floors, too! Which of these trends do you love or want to go away? Let me know in the comments! the brass hardware and accents. I’m just not a lover of brass!